Could there be anything cuter than a brand new baby born around Christmas to dress up in all the red and green and pose with tiny teddy bears and little beds and cute smiles? Baby Baxter was an absolute dream for his photo session. Can you believe his blond hair and eyelashes? Newborn fuzz is the best. 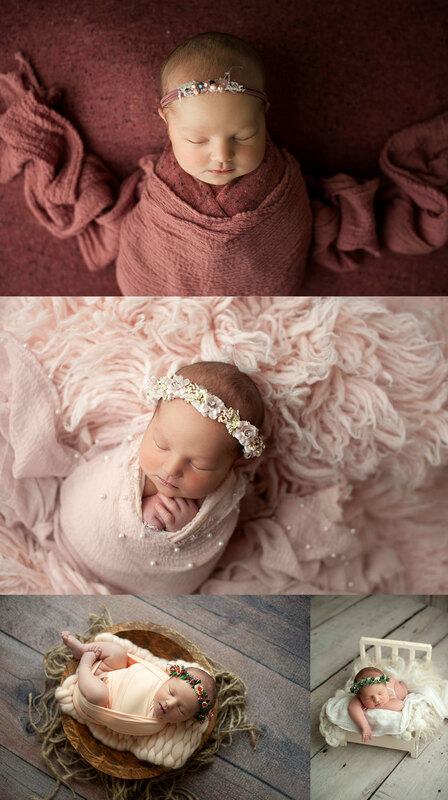 If you’re looking for a newborn photographer in the Salt Lake or Utah Valley and have a December due date be sure to Contact Me as I only have a few December appointments available. I often get asked how I learned photography. And really I have used so many different means to learn and grow. I’ve always had a passion for photography. In Elementary School I entered the inspiration contest for photography and won. My picture was of an ornamental cabbage. I’m laughing right now. Then in junior high I took a photography class and that was fun. We made a camera out of a shoebox. And then really, I didn’t think about photography again until I had my first child 8 years ago. Like many moms out there, I got my first DSLR and started taking pictures of her. When I think about how far I’ve come since then it kind of blows my mind. But it has come with A LOT of hard work. Hours poured over the internet learning about Aperture and Shutter Speed and ISO. Most of what I learned in the beginning about photography and photoshop I learned from books by Scott Kelby and through an online membership to ClickinMoms. I started taking pictures of friends kids and, bless their hearts, they’ve stuck with me throughout the years. Then I really upped my game when I did a mentorship with a local photographer that I admired. She taught me a ton about posing and photoshop. I kind of did a bit of everything over the next few years between having babies of my own. Families, high school seniors, children, weddings and newborns here and there. I despised weddings so I kind of crossed that off the list. In April I got the amazing opportunity to mentor with the amazing Nicole from Charlie & Violet in Minneapolis. It was incredible. I got to stay in a hotel by myself, eat whatever food I wanted, shop at the Mall of America and have an entire day to learn. 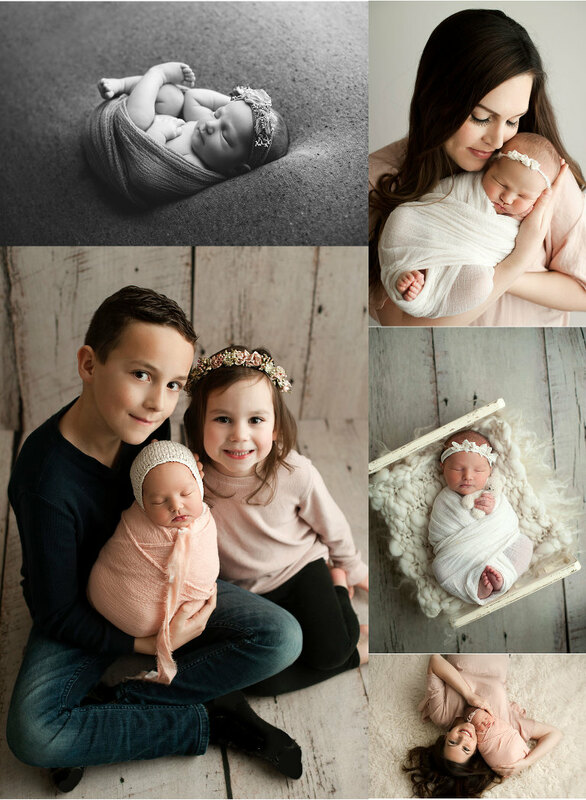 So I had to share basically all of the images I took there because A) the babies were so freaking adorable and 2) Nicole was a posing queen and I got so many amazing pictures! So ya, that’s me and my photography journey. Leave any questions you have for me in the comments! I’m happy to help! I had the chance to do pictures of these sweetest little twin boys. I actually wanted twins when I was growing up. Doesn’t everyone at some point? Then I had a child and realized how insane that would actually be. I struggled to get pregnant with my third child. When I finally got pregnant I went in for a very early ultrasound and found he had had a twin but the twin wasn’t viable. Suddenly the dream I didn’t even know I still wanted was crushed. Sorry, that’s kind of deep. But it really is another reason I love what I get to do so much. When I was going through infertility my newborn sessions were even that much more special to me. Although it was difficult to watch these mamas get what I wanted so much, it was also so comforting. So comforting to hold those sweet angels in my arms and provide images to help parents remember this fleeting moment. I really didn’t start writing this post expecting it to end up here but I do want you to understand that I handle your sweet babies with the most tender care.